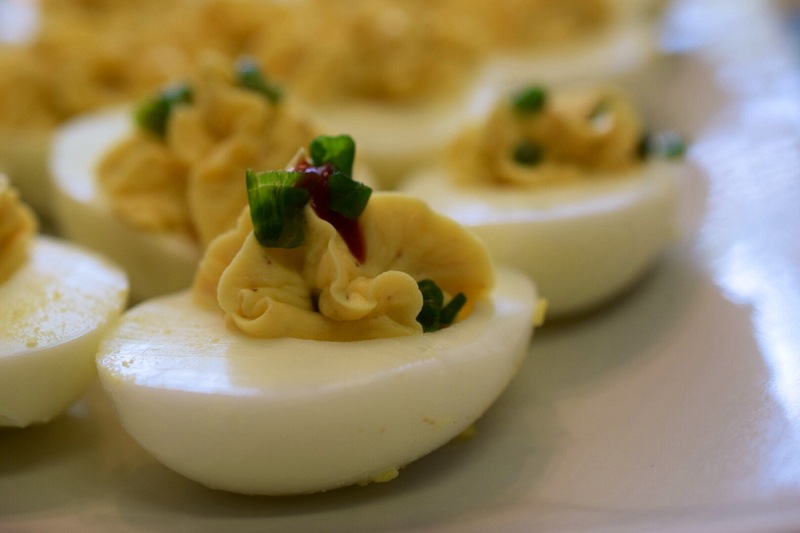 Sometimes deviled eggs can be a great dish at a party, but what about adding a little spice? 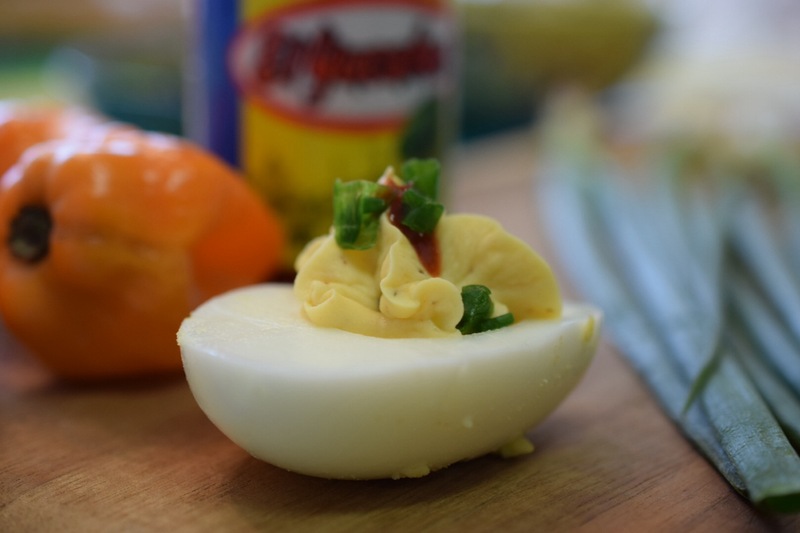 Deviled eggs could easily be kicked up a notch with some habenero hot sauce. 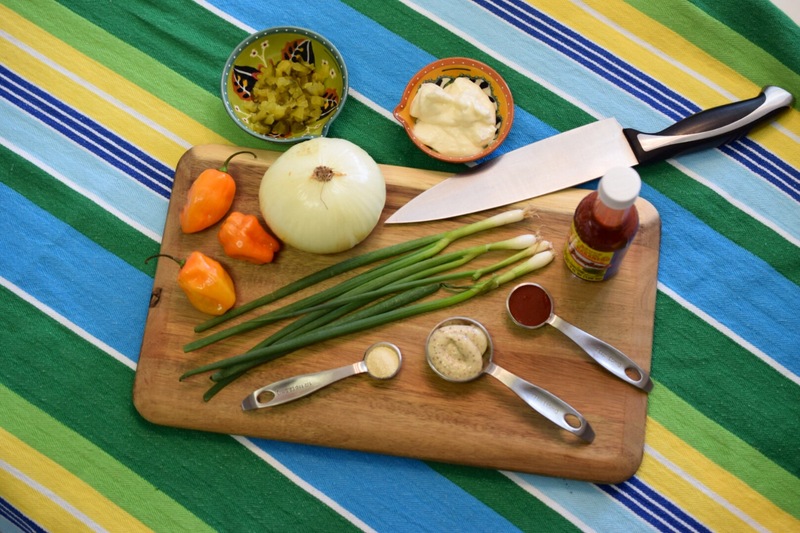 I choose to use El Yucateco Hot Sauce, which can be found at Publix. 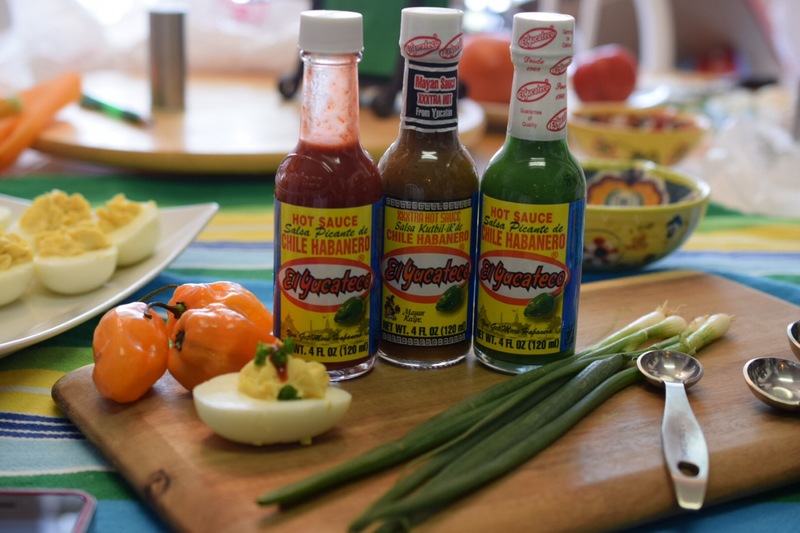 This hot sauce is big on flavor, not just heat, which makes it a great choice to kick up the spice on these deviled eggs. 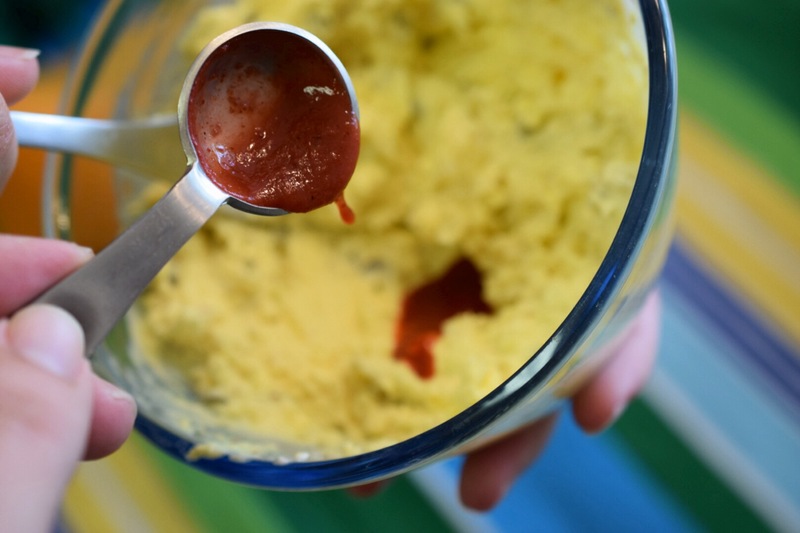 Scoop all yolks into a bowl and mash with a fork. Add mayonnaise, dijion mustard, El Yucateco Habenero Hot Sauce, minced onions, and garlic powder. 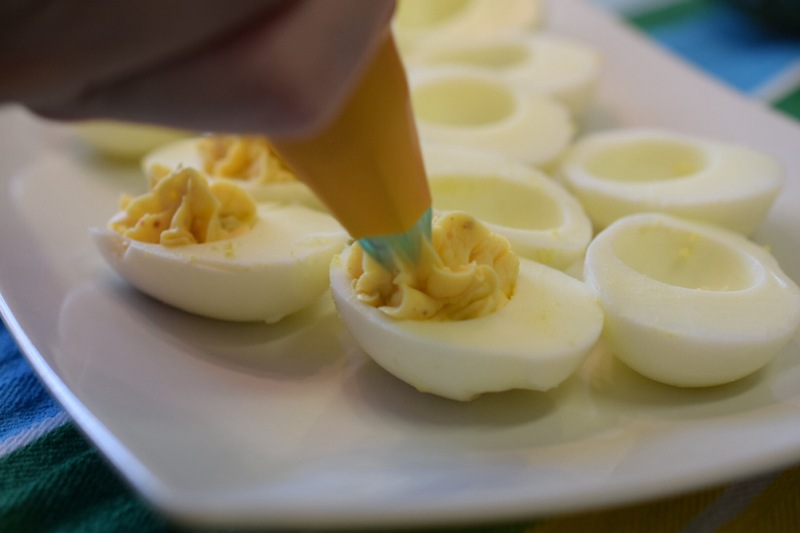 Use a spoon or piping bag to fill each half of an egg with mixture. Squirt a dab of El Yucateco Habenero Hot Sauce on top of each egg. Sprinkle with chopped green onions. It’s always nice to find new recipes, or change up a classic with a little hot sauce. 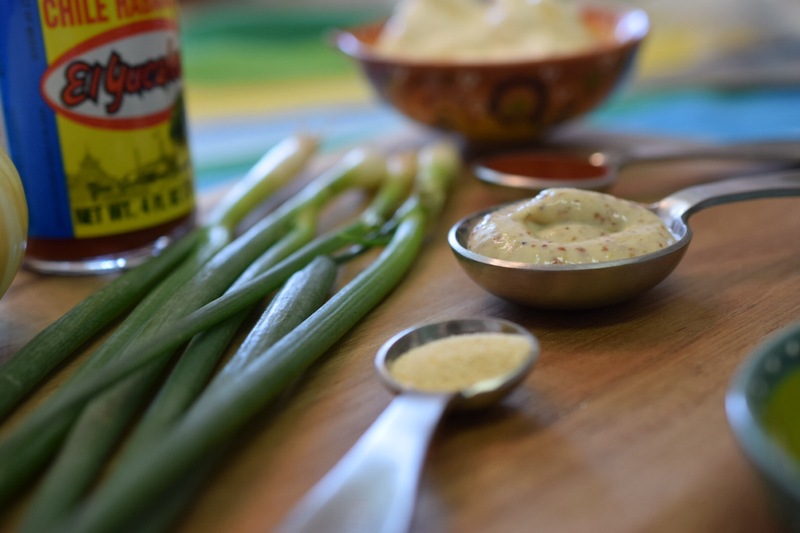 Learn more about the various recipes that you can make with a little El Yucateco hot sauce in the mix. 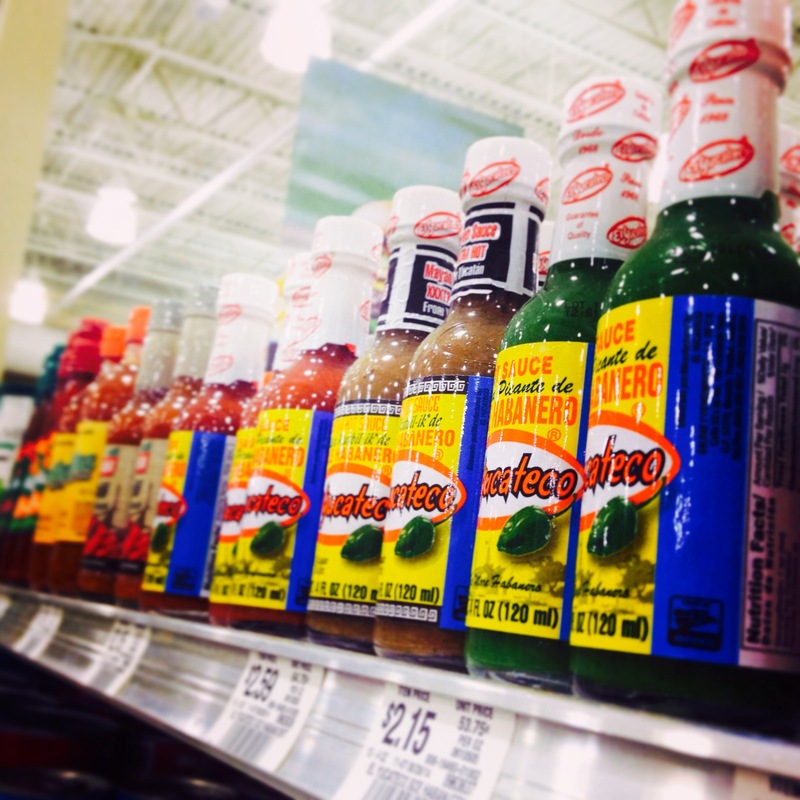 El Yucateco can be found in the ethnic food aisle, not the condiments aisle at Publix.